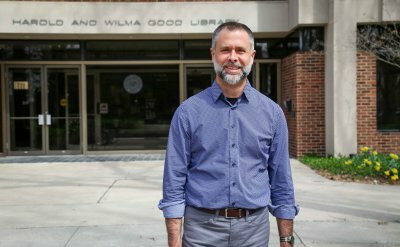 Andrew Witkowski, a senior broadcasting major from Goshen, is one of the seven Goshen College students nominated in the IBA Spectrum Awards. 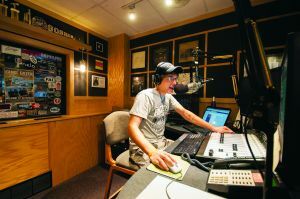 Goshen College’s radio station, 91.1 FM The Globe (WGCS), has received six finalist nominations in four categories by the Indiana Broadcasters Association (IBA) for the 26th Annual Spectrum Awards. The nominations include the prestigious Station of the Year category. As a designated station within the South Bend radio market, WGCS is judged against the work of all member stations in Market Two (Evansville, Fort Wayne, Lafayette, Muncie, South Bend and Terre Haute), regardless of size or FCC licensure. This is the first time WGCS has been named a finalist in the Station of the Year category. The other finalists are both commercial radio stations, WMEE in Fort Wayne and WTHI in Terre Haute. 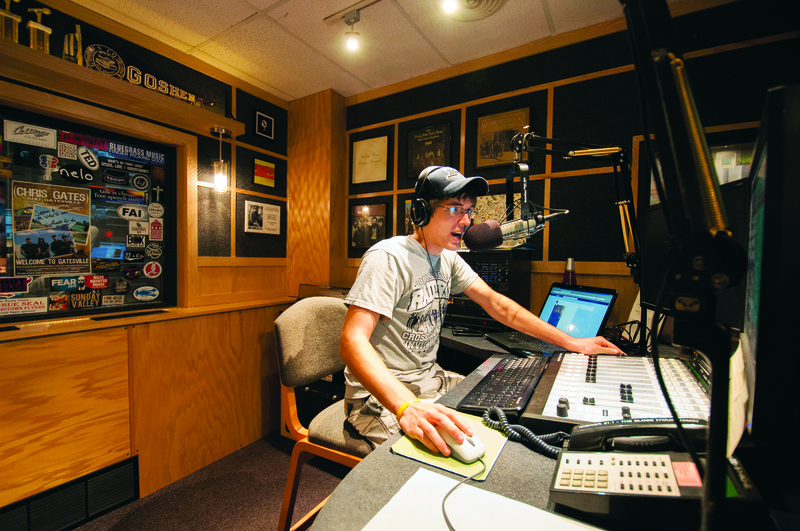 The six nominations are the most by any non-commercial or educational radio station in the state. 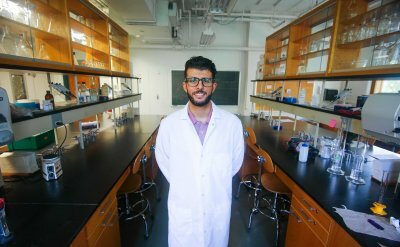 WGCS collected multiple nominations in two categories. Senior Tony Miller and 2013 graduate Benjamin Kelly are individually nominated in the “sports” category for their play-by-play submissions. In the “mini-documentary or series” category, junior Danielle Kerschhackl and 2013 graduate Kelsey Morris are co-nominees for their segment on the chili cook-off at Goshen First Fridays. Sophomore Ashley Davenport was selected for her pop culture radio-zine, “Rewind.” In a joint effort promoting the collaboration between Ignition Music Garage and 91.1 The Globe, Davenport, Kerschhackl, senior Andrew Witkowski and 2013 graduate Jimmy Cassoday are finalists in the “special interest and cultural programming” category. Benjamin Kelley, a 2013 Goshen College graduate, with Jason Samuel, WGCS general manager. 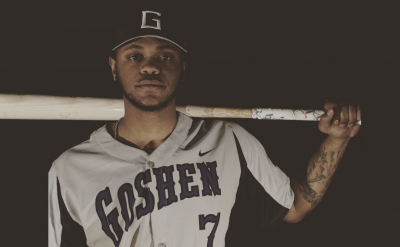 “When you put into perspective that Goshen College students are judged by professional standards against commercial radio stations throughout the state, it speaks to the quality of their work and dedication to the broadcasting craft,” Samuel said. The IBA Spectrum Awards recognize broadcasting excellence for outstanding achievement by Indiana radio and television stations. The competition is established to encourage the highest in standards of reporting, community service and production creativity. 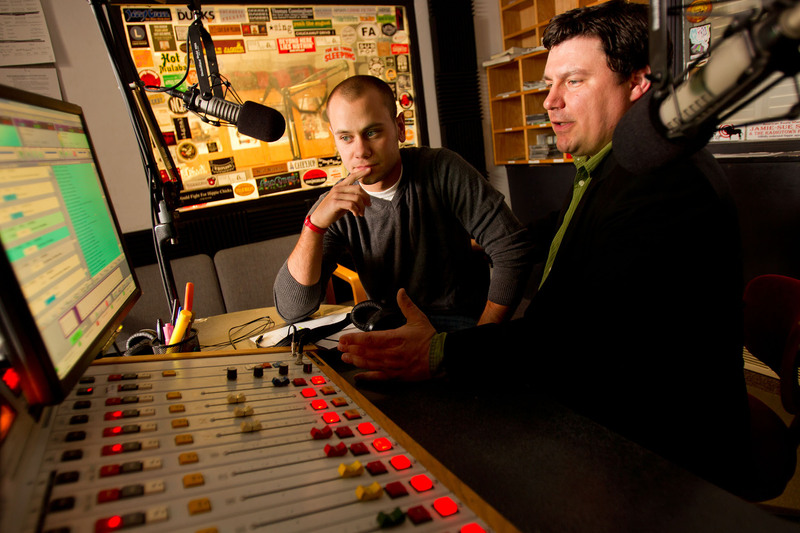 In addition to the nominations, IBA President Joe Misiewicz announced that Goshen College would be recognized by the association for winning the Indiana Association of School Broadcasters’ Radio and Television School of the Year awards in 2013. The dinner and awards program will be held Saturday, Nov. 9 in Indianapolis. 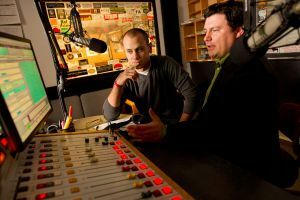 In 2011 and 2013, The Globe was named Best College Radio Station in the Nation by the Intercollegiate Broadcasting System (IBS), making it the first college to be a repeat winner in the competition, which is against every college and university in the country of every size. The station was runner-up in 2012.